PASADENA, Calif., March 9, 2015 (Planetary Society PR) – The Planetary Society’s privately funded LightSail spacecraft has arrived in Cape Canaveral, Fla., where it will be integrated with an Atlas V rocket scheduled to launch no earlier than May 6. The spacecraft is part of a secondary payload dubbed ULTRASat, which will fly aboard the U.S. Air Force mission AFSPC-5. 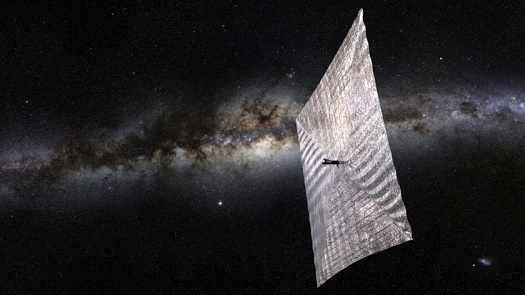 For complete coverage of the LightSail test flight, as well as the second LightSail mission scheduled for 2016, visit sail.planetary.org. Celebrating 35 years, The Planetary Society has inspired millions of people to explore other worlds and seek other life. With the mission to empower the world’s citizens to advance space science and exploration, its international membership makes the non-governmental Planetary Society the largest space interest group in the world. Carl Sagan, Bruce Murray and Louis Friedman founded the Planetary Society in 1980. Bill Nye, a longtime member of the Planetary Society’s Board, serves as CEO.